I think New Zealand can do the grand slam. 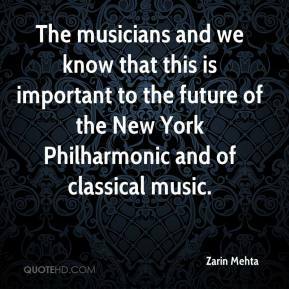 The musicians and we know that this is important to the future of the New York Philharmonic and of classical music. 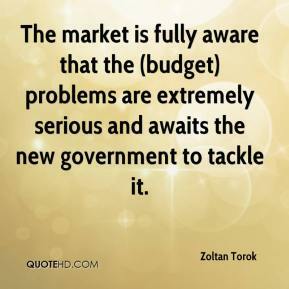 The market is fully aware that the (budget) problems are extremely serious and awaits the new government to tackle it. 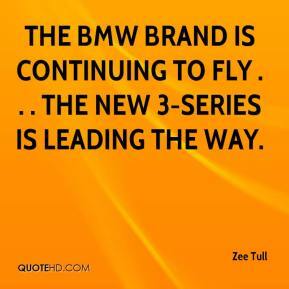 The BMW brand is continuing to fly . . . the new 3-series is leading the way. 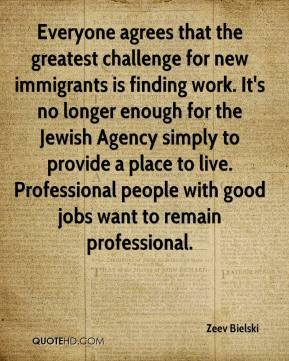 Everyone agrees that the greatest challenge for new immigrants is finding work. 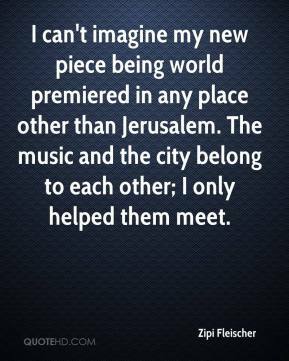 It's no longer enough for the Jewish Agency simply to provide a place to live. Professional people with good jobs want to remain professional. 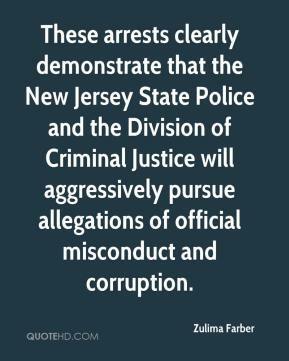 These arrests clearly demonstrate that the New Jersey State Police and the Division of Criminal Justice will aggressively pursue allegations of official misconduct and corruption. 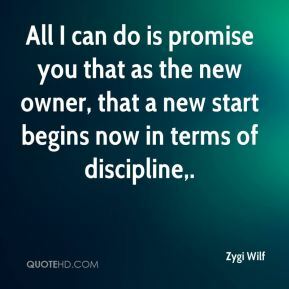 All I can do is promise you that as the new owner, that a new start begins now in terms of discipline. Our twin priorities are reconstituting the baseball department and getting new decision makers in there. 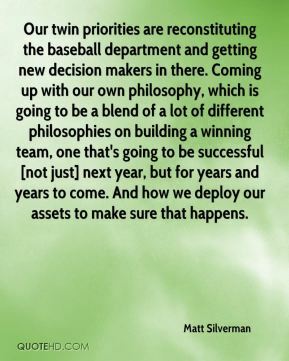 Coming up with our own philosophy, which is going to be a blend of a lot of different philosophies on building a winning team, one that's going to be successful [not just] next year, but for years and years to come. And how we deploy our assets to make sure that happens. 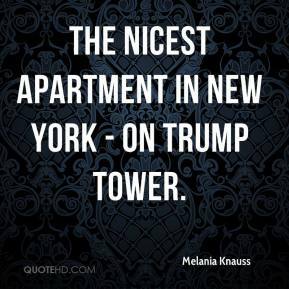 The nicest apartment in New York - on Trump Tower. This new list is a breakthrough for both advertisers and ADVO, and another tool to fuel strategic solutions for our clients. For advertisers, it is the only product on the market that enables them to reach new-construction households with great speed and precision. 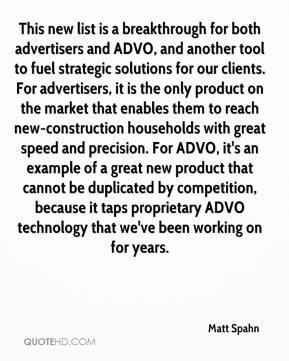 For ADVO, it's an example of a great new product that cannot be duplicated by competition, because it taps proprietary ADVO technology that we've been working on for years. Our campaign goal is to draw a line in the ice and not allow exploration into a new oil frontier. 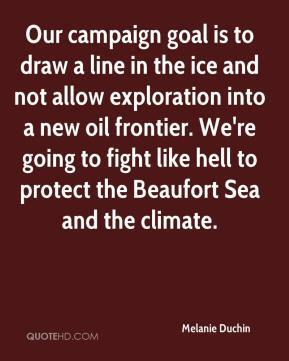 We're going to fight like hell to protect the Beaufort Sea and the climate. It's a whole new way. 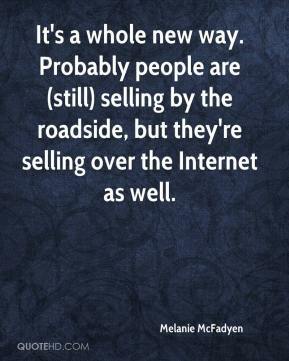 Probably people are (still) selling by the roadside, but they're selling over the Internet as well. There are more old-school influences, without it sounding like garage rock. 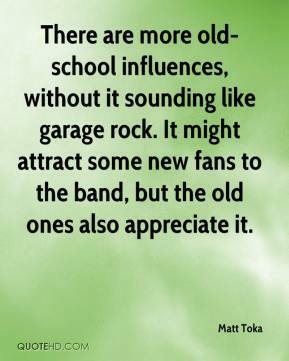 It might attract some new fans to the band, but the old ones also appreciate it. What we're seeing right now is a new generation of teenagers, that as society changes, they're more comfortable in coming out. A lot of them are getting more support from their families. I think what you're seeing with this new generation of teenagers who are coming out is that they really don't want to be labeled. They don't want their sexuality to define who they are. They want to be just like everybody else you know, be free to be who they are. 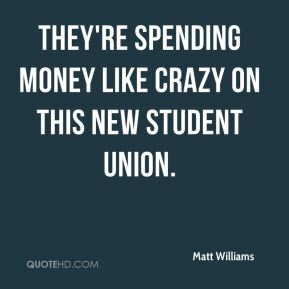 they're spending money like crazy on this new Student Union. 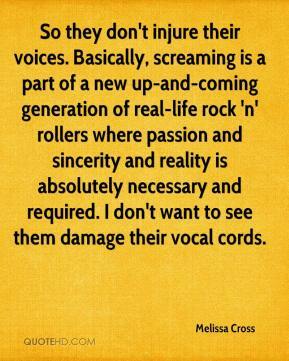 Basically, screaming is a part of a new up-and-coming generation of real-life rock'n'rollers where passion and sincerity and reality is absolutely necessary and required. I don't want to see them damage their vocal cords. So they don't injure their voices. 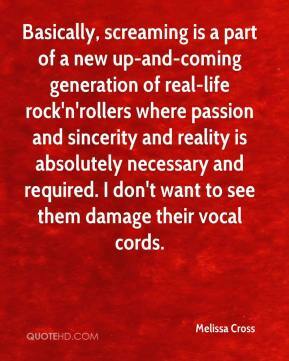 Basically, screaming is a part of a new up-and-coming generation of real-life rock 'n' rollers where passion and sincerity and reality is absolutely necessary and required. I don't want to see them damage their vocal cords. 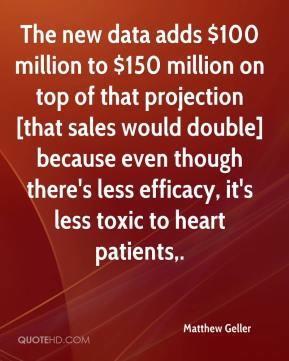 The new data adds $100 million to $150 million on top of that projection [that sales would double] because even though there's less efficacy, it's less toxic to heart patients. 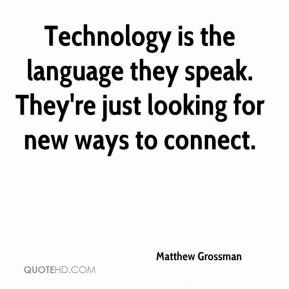 Technology is the language they speak. They're just looking for new ways to connect. 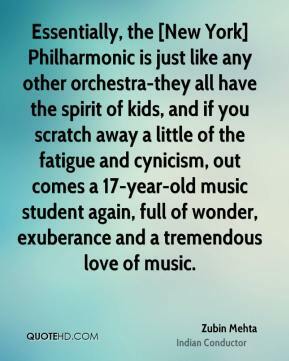 New York state has a lot of charms, but it's naive to think other states don't have their own charms. 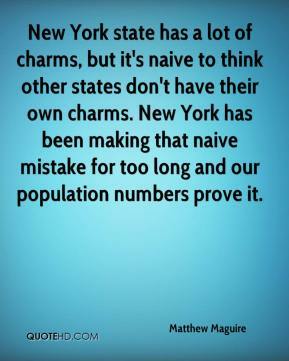 New York has been making that naive mistake for too long and our population numbers prove it. 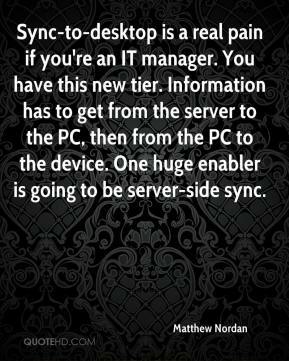 Sync-to-desktop is a real pain if you're an IT manager. You have this new tier. Information has to get from the server to the PC, then from the PC to the device. One huge enabler is going to be server-side sync. 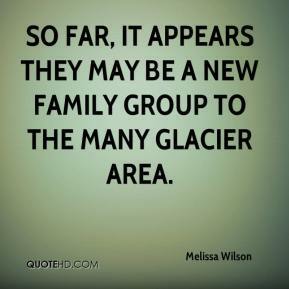 So far, it appears they may be a new family group to the Many Glacier area.